Choose a name for a child is very responsible. Want it to be beautiful, suited to the child's character and liked him. And when you are waiting for just two children, then no doubt more than twice. It is necessary that the names and combined with each other. Pick a name that is not very similar in its sound. For example, Jane UHL, Ivan-Dan or Masha-Dasha at first glance sound cute and interesting. But in young children can be difficult and confusing remembering his own name. Think about how will sound the names in the diminutive form. There are names that do not require reductions, for example, Ia, Jan or Dean. If you call a kid such a name, and the second should be name in the same vein. Repelled by the patronymic. Both names should be combined. If the middle name is too long – you should not choose long names. Pay attention to the end of the name and the beginning of a patronymic. If at the junction of words are vowel and consonant letters, the name with the middle name will sound soft and melodic, for example, Oleg and Gleb Alekseevich, Marina and Svetlana Vasilevny. A combination of several vowels or more consonants are pronounced more difficult: Anna and Irina Alexeevna, Constantine and Rostislav Stanislavovich. Do not try to give children names that begin with the same letter. Daniel and Diana sounds nice, but if you have no head for some name and want to call child Danila and Sergei, do as your heart says. Children are not purebred puppies or kittens. Need these boundaries and conventions? Select names according to the tide. This is probably the easiest way. Recently it is also a tribute to fashion. It is always possible to choose from a number of names, those who like more. 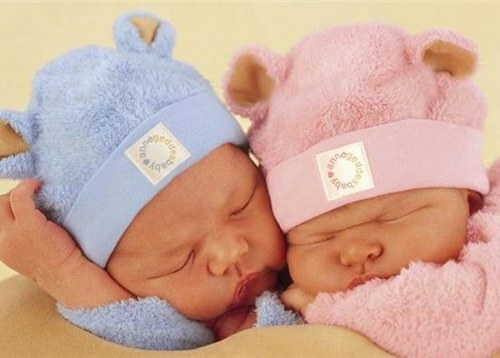 Thus, children born on January 10, you can give names such as Agatha, Anthony, vavila, Glyceri, Yefim Ignatius, Nicanor, Peter Seconds, Simon said. Try to come up with the names so that one was not too common and the other very rare, such as Rafael and Sergey or Agrippina and Svetlana. Not the best option would be if one name is very short and the other long, for example, Evangelina and Hell, or Svyatoslav and Gleb.